Sunderland supporters reacted with dismay at the heartbreaking late loss of two points to Norwich. Ivo Pinto’s 89th-minute equaliser denied the Black Cats three precious points in the fight for Championship survival, and they are six points from safety, with just four games to play. Here’s how some Sunderland fans reacted on Twitter to the 1-1 draw at the Stadium of Light. 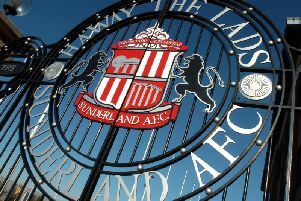 @safcfansview: Tonight is the lowest blow we could’ve been dealt. Genuinely devastated by that late equaliser. Same old same old when It comes to goals against. These are hard times. @AlexBidoofus: Speechless we didn’t win. Basic inability to take chances and basic inability to defend a lead come to haunt once again. @Coonsy27: Subs far too negative from Coleman, especially the pointless late sub he seems to love. But how can our players not defend a set piece. So many points lost because we just can’t defend. @safctinders: Defensively we’re simply dreadful. Too susceptible to a goal or three. Not a great trait. Simply massively costly.